Destiny Kearney (Class of ’21) and Favour Ofuokwu (Class of ’21) will lead a tour in “Fashioning Modernity” at 3 p.m. Friday, Feb. 22, at Bowdoin College Museum of Art, 9400 College Station, Brunswick. The tour places the exhibition’s focus on independence in Nigeria in conversation with African American history and identity. This event is free and open to the public. 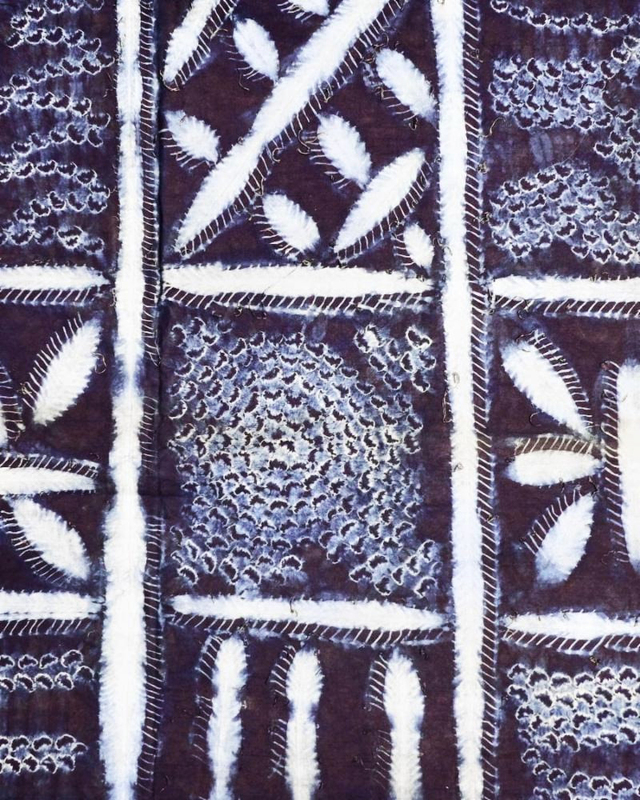 Pictured is the detail of adore cloth wrapper, Yoruba culture, Nigeria, mid-20th century. Indigo resist-dyed cotton. This work is included in the exhibition, “Fashioning Modernity: Art and Independence among Yorubas in Nigeria.” For more information, call 207-725-3275 or visit bowdoin.edu/art-museum.